Looking for Doral FL emergency locksmith services? You’ve reached the right place! With Quickly Locksmith you know you’re never on your own– we’re here 24/7 to offer remote assistance, emergency locksmith services, residential locksmith services, commercial locksmith services & automobile locksmith services. 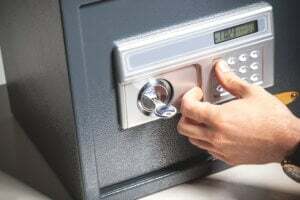 Quickly Locksmith company Doral FL- one service to accompany you with all your commercial locksmith & security requirements; with rich experience providing locksmith services for Miami’s commercial clientele we offer early construction advisement, customized security & locks settings, certified installers, 24/7 emergency locksmith services, remote assistance with any security systems mishaps. Trust! With over a decade’s experience Quickly Locksmith offers the most trustworthy Doral FL locksmith services; we have been providing Doral businesses and residential top locksmith services and our clientele speaks on its own. With commercial and residential clients that keeps coming back we know we’re doing something right and our prices are accurate, our locksmiths are professional and our products are strong and reliable. For further info regarding the range or residential services Quickly Locksmith offers click here, and to view the range of commercial locksmith services click here!